About 250 students from Bald Eagle Area Middle School participated on Oct. 4 in the Centre County United Way’s Day of Caring. 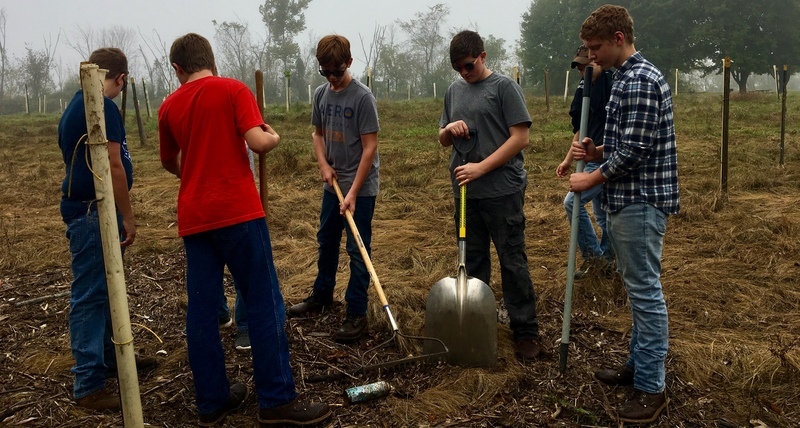 Seventh and eighth-grade students spent much of the day helping spruce up the grounds at Bald Eagle State Park, Black Moshannon State Park, Snow Shoe Rails to Trails, the Mountaintop Area community pool, Milesburg Borough and more. About 50 students were split into three group in the morning at Bald Eagle State Park where they painted the posts of signs around the park, raked leaves and debris left behind from flooding, and installed tree tubes on the west side of the park. Day of Caring is an annual event through the Centre County United Way that encourages the community to help local organizations with much-needed projects.